Mixed with pink and white~ yes please. Add a little black in? This kitchen and dining area... oh my. The shabby gray blue on the cupboards. What a fantastic living room too... wow. This is a little darker blue than I love but I do love this vignette. Oh I just adore it!! & more with Lowes very soon! 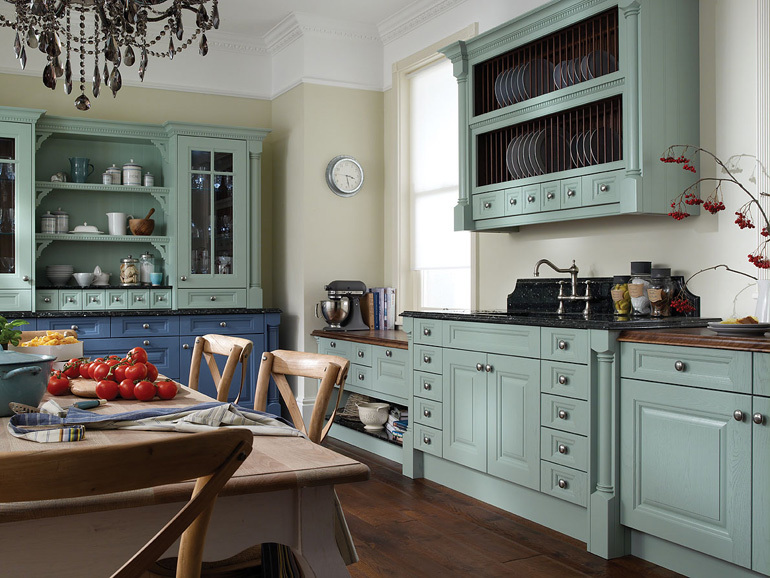 Oh my goodness, that first blue kitchen makes me want to jump up and down! Gorgeous!!! So much eye candy! I don't know where to look first. I love it all! 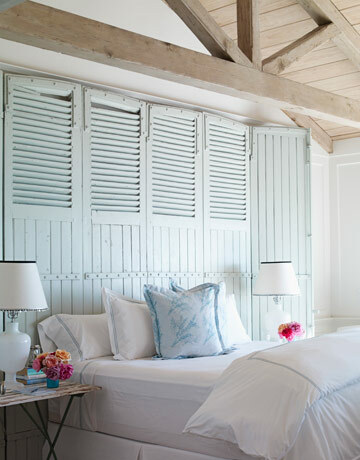 I'm a huge fan of blue and white decorating, so I love all these images! Thanks for sharing! Love it all! Slowly but surely my home is going to be this color scheme. The rooms I've already completed make me so happy. 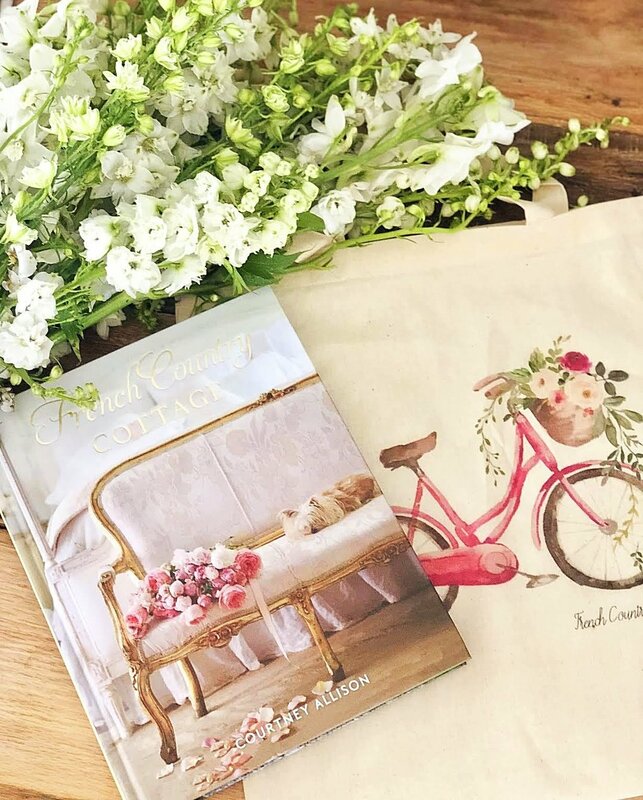 Thanks for sharing all of this fabulous eye candy! I love that color blue.It has a green tinge to it that looks great with black too. Go for it! Paint your black island blue!!! I think it would look FAB.! Surprise us! YOu picked some good ones here. 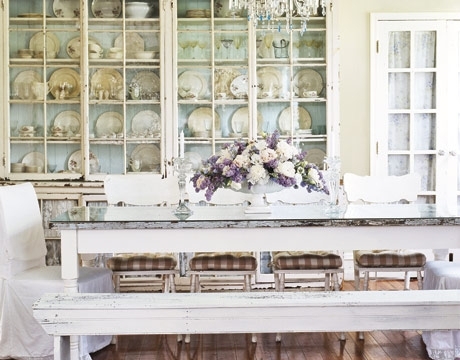 That first kitchen and dining area is Jennifer Lopez" old house! Gorgeous right?? I pinned the last one~love that. I love all of these gorgeous blue inspirational pics! They are all so calming and classy! I just finished redoing our master and added more blue in our space as well ... what a relaxing difference! Thanks for sharing. Gorgeous color combinations! So soothing-love them all. 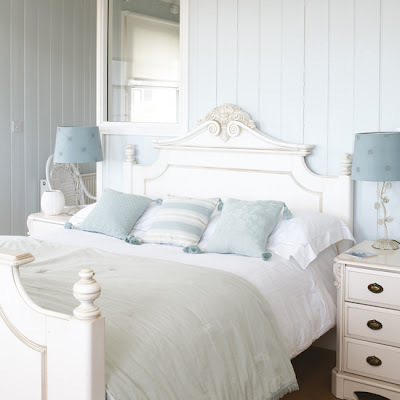 I adore all the blue and white/cream rooms...I am painting our own bedroom in those tones as well. Makes me smile! I have some of those same pictures and so love the blues too! Now I've got the blues too!!! I vote for painting your island blue..It is such a great color. wow! I love everything you selected! So calming. These images are gorgeous! 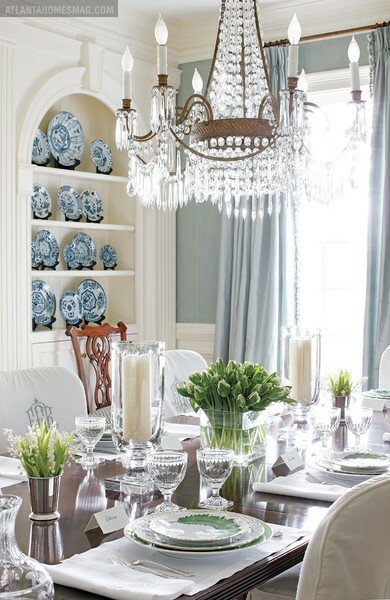 Blue is my favorite color and that china cabinet is amazing ~ love it!! That first bedroom is my favorite! 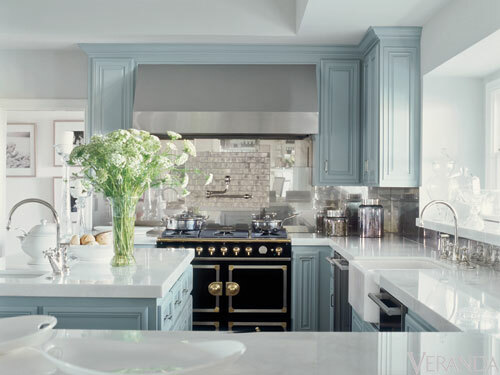 I wouldn't have thought of using these colors in the kitchen but those pictures prove me wrong! So pretty and serene. 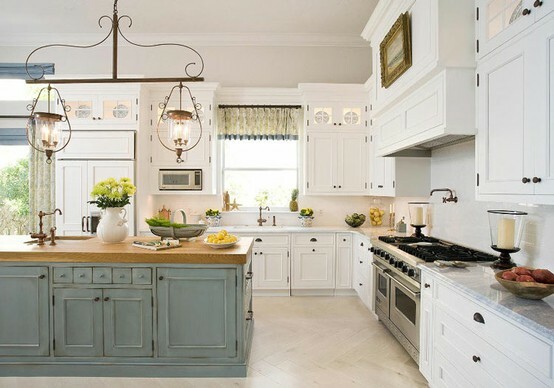 Love the first kitchen! Thank you for these wonderful ideas. Gorgeous pictures, Courtney! I love that blue! That's what I am trying to incorporate into our master bedroom. Courtney, what gorgeous images! The blue is just so pretty and serene! WOW!! So much inspiration!! Love it!! Soooo gorgeous, Courtney! I'm feeling blue lately, too! I had incorporated red striped grainsacks and hints of faded red throughout the house. But after swooning over my fav Swedish blogs lately and noticing that they use more grays and blues.....I sloooowly started changing things up a bit and bringing back the gray blues I used to have here. I'm just loving it! Don't know why the sudden craving for blue, but it just seems cleaner and neater to me?? :) Thanks for the great photos today!! They've got my wheels turning again....lol! Ahhh... I feel so rested, yet envious all at once. LOL! Sooo much loveliness. I just cannot stop looking at that last DR pic with that soft, icy blue color scheme. Oh my! I just painted my own DR but now it has me reconsidering. Yummy pics all. I always love anything blue. Thanks for sharing those beautiful images. After seeing all of these beautiful rooms of blue and blue grays I'm ready to get out the paint brush! These colors are very popular here in Blogland. 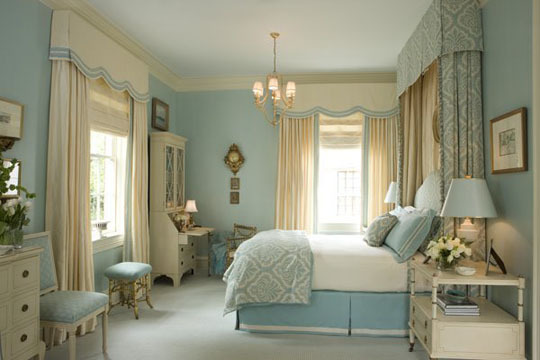 I love these subtle shades of blue...they are clean and elegant. I really love the huge living room with the white sofas and love seats. I love that island, too! OOhhhh, I love your inspiration photos! The palest gray blues are my favorite. 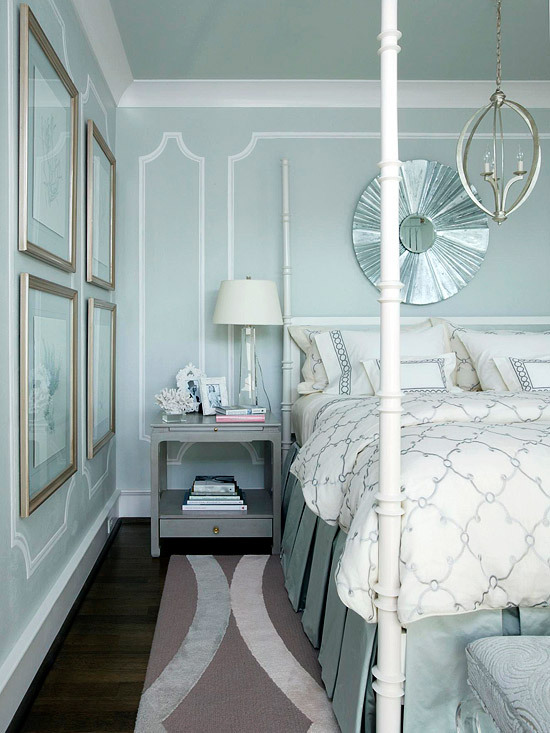 I have been trying to decide if I should paint my bedroom white, creamy white or pale, pale gray/turquoise. Decisions, decisions! Oh, these are pretty! I love that blue, grey, green color...it feels so serene. I love blues too--pretty soon I'll have to change my blog name to "For the love of blue"! The pictures you posted are lovely. Oh my, all these photos are just beautiful! 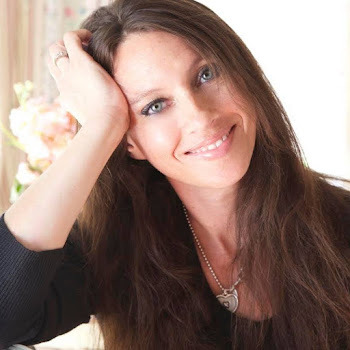 I do have just one room in my home that features blue (and pink too), which is the room that I do all my sewing & creating in ~ it's very soothing and relaxing. I love the blue in the pictures, they have great touches of blue. I keep trying to bring blue into my home. BUT, for some reason when I have blue on the walls I can not stand it. I guess maybe I will have to try it in smaller doses. I am loving whites with touches of robins egg blue and grays lately myself. Thanks for sharing these wonderfully inspiring rooms. Just gorgeous! It's funny how many of those pictures are in my "file". I can NOT get enough blue. And thanks, by the way, for your hard work for the Linky Party every week. I really appreciate it. Love the pix, so inspirational! Beautiful pictures. I am loving that kitchen!! Gorgeous images Courtney! I LOVE them all!! Loving the kitchen island in the second to last picture! Wow, such amazing photos. i love all of them. 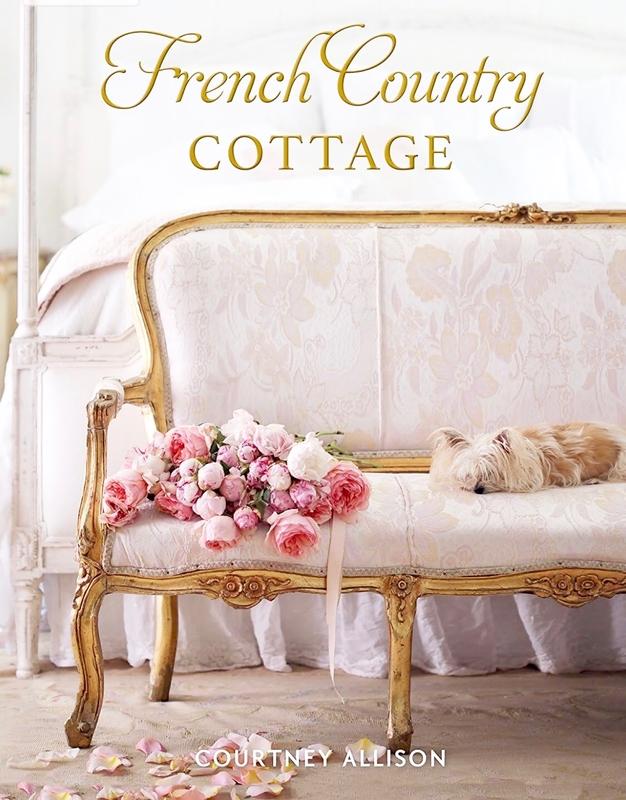 Gorgeous vignettes. I just followed your blog and would love it if you would come over and follow my new LINKY FOLLOWER tool. Perfect shade of blue and I love it with such a light touch. 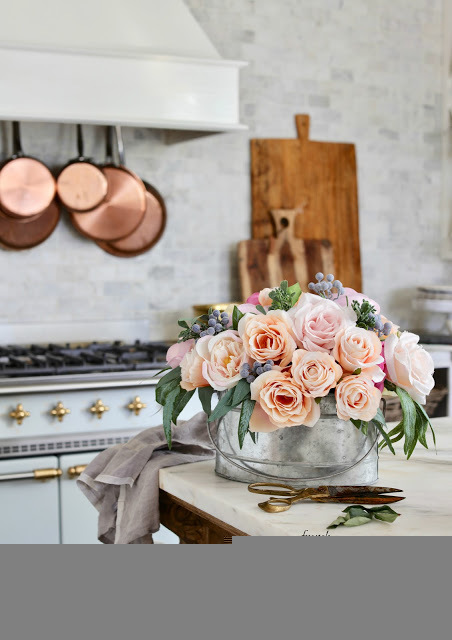 I could love all of these inspirations in my home. I love blue so much! Thanks for all the great inspiration! So many gorgeous pictures with the pretty blue hues. I am loving soft blues right now so these pictures are the perfect eye candy.